Snapdeal is an Indian based e-commerce company and one of India’s largest online marketplaces with a wide assortment of around 60 million products across various categories from national, regional and international retailers and brands. 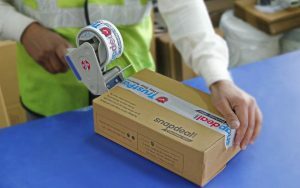 Snapdeal was started by Rohit Bansal and Kunal Bahl in February 2010 and has acquired several business enterprises such as Grabbon.com, Esportsbuy.com, Shopo.in, Doozton.com and Wishpicker.com by the end of 2014. Most of the acquisitions were made in the year 2015 such as Smartpix.com, Gojavas.com, Unicommerce.com, RupeePower, Freecharge.com and Reduce Data. Snapdeal mainly deals in categories such as clothes, electronics, footwear, mobiles, household products, beauty products, gifting options, and many more. With thousands of orders processed every week, there are chances that customers face problems with their orders. Snapdeal has made a good reputation by helping its customers with their good customer care services in resolving their issues and other queries. Customers can now right away call the Snapdeal customer care team on their toll- free numbers. Customers can also email their concerns or queries to the customer care service team to ensure a faster resolution. Snapdeal offers an exhausted range of products starting from your home to office needs from all leading branded and unbranded products. As there are many people who shop from Snapdeal, it is obvious that customers would also need contact numbers of Snapdeal’s customer care. Customers can contact these helpline numbers to order, cancel, track or return their orders to resolve their issues. This toll-free number is available on all hours a day and all days of the week which saves your cost too. Snapdeal toll-free customer care number is 9212692126. There is another help line number: 011-45371100 which can be reached in case of any issues. Calling the Snapdeal customer care is beneficial to their customers. You can call them anytime on all hours a day or any day of the week as they can get their issues related to their orders/ products/ services resolved. Customers can call the customer care numbers and get a solution to their problems. The customer care executives also guide you to a step by step solution which will help them retain their customers for a longer period. Snapdeal has 2 help line numbers: 011-45371100 and their toll- free customer care number: 9212692126 where you can call them up and get solutions to all your queries. Snapdeal has also got national customer numbers which the customers can use to reach their respective city helpline numbers. Many times, it happens that the customers face problems with their orders or any other queries related to payments, exchange offer, returns and refunds, order cancellation and much more. Snapdeal offers a full time dedicated help option which will be available to their customers on their websites whenever something goes wrong. If you have any queries regarding order status, return/replacement of an item, order cancellation, exchange offers, refunds for returned orders, and this help center has answers to all your questions. There are also several other categories which customers can go through such as order tracking, order delivery, payments and EMI, refund, managing your accounts and other alerts, electronics exchange offers, installation and demo queries, add-ons, promos, reviews, and seller supports. For any kinds of issues, users can also call up the customer care numbers or email them with your queries and they will get back to you with a resolution at the earliest. To track their orders, customers can login to their Snapdeal account and click on the link: “Track Order”. They can enter their tracking ID and track their order. To cancel an order, customers can go to “My Order” and click on the cancel order option. To get a refund for cancelled orders, customers just have to share their bank details with the customer care team and they will transfer the refund/ amount to them. If customers wish to return or replace an item, they will simply have to click on “Return/Replace” link, mention the reason of return and submit it. The team will immediately initiate the process. But for this, you will have to replace/ return the product within 7 days of the delivery of the product. Customers can contact Snapdeal India customer care team for any kind of issues such as complaints, feedback, query/ suggestion, help, sales, support, order etc. The customer care number can be reached at: 9212692126 which is a toll- free number or 011-45371100 (Head Office) and are available at all times. The head office of Snapdeal is at New Delhi and their address is: Jasper Infotech Pvt. Ltd, 246, First Floor, Phase- III, Okhla Industrial Area – New Delhi. The Snapdeal Mumbai office address is: 230 II Ecospace II Mogra Village, Old Nagardas Road II, Andheri East II, Mumbai. Snapdeal also has their office at Chennai: Nu- Tech Commercial Complex, New number 73, Second Floor, Arcot Road, Kodambakkam, Chennai – Tamil Nadu. Snapdeal’s Bengaluru office address is: Fremont Terraces, 3580, Third Floor, 13 G Main Road, 4th Cross, Indiranagar, 2nd Stage, Bengaluru and they can also be contacted at: 080-466603100. It must be kept in mind that problems come with every e- commerce websites and this is where customer care or the customer service plays a very important role to keep the customer base. Snapdeal is very dedicated and prompt in resolving the customer’s problems/ issues. Customers can also contact the Snapdeal customer care team on their support email address: help@snapdeal.com and cs@snapdeal.com. These are the official email IDs of the Snapdeal customer care team and they will revert back to you within 24 hours after they receive your query. You can either attach a screenshot of the problem you are facing or simply write to them, explaining your problem. Customers can also ask for suggestions such as cases where a product is not available or a specific size is not available. In case you need to postpone the delivery date or change the delivery address or also ask for the order tracking details through an email if you are unable to call them up or check these details on their website. Do not forget to mention your order number in the email and other required personal details such as your contact number, email address so they can relate it to your account and find the problems that you are facing. Customers often face problems related to their orders on Snapdeal. Be it queries regarding order cancellations, returns, refunds, exchange offers, complaints and suggestions, customers can always get in touch with the customer care team to get their issues resolved. They can either call up the customer care team or email them specifying their order details and the problem they are facing and get a solution to their problems soon. If you mention all the required details pertaining to your order, it will be too quick to get any assistance from the customer care support team. This team has set a benchmark in terms of customer satisfaction and customers can contact them whenever required. These days every business provides social support to their customers in order to maintain their reputation and remain in the market. Like every other website, Snapdeal is also available on the popular Social Profile Sites such as Twitter, Facebook, Instagram, YouTube, Pinterest and Google Plus. Snapdeal is available on Facebook with the link: www.facebook.com/Snapdeal, its twitter page link is: twitter.com/snapdeal. Snapdeal also maintains its social status on Google Plus page and its link is: plus.google.com/+snapdeal/posts. Customers can also access Snapdeal’s YouTube page on: www.youtube.com/user/snapdeal and their Pinterest page on the link: www.pinterest.com/snapdeal/. Snapdeal is available on the Instagram page on the link: instagram.com/snapdeal/. Snapdeal allows its customers to use live chat and social pages to get all kinds of customer support using the above social links. Snapdeal has become one of India’s largest online shopping e- commerce website with a variety of over 30 million products over 800+ diverse categories and has almost 5,00,000 sellers. Snapdeal has managed to maintain its customer care service in the market and has succeeded to reach out to the audience in the right way. Snapdeal came in to the market at a time when other companies such as Amazon and Flipkart had already set a base for themselves. Within a short time, Snapdeal has managed to provide efficient services and effective snapdeal customer care as well as marketing strategies and have managed to compete with these leading giants. Snapdeal offers various payment methods such as credit card, debit card, net banking, online wallet payment, EMI and cash on delivery. In addition to this, customers can also subscribe for latest updates, promotions, and coupons. In addition to the website, Snapdeal also has a mobile app store which makes it easy for the users to access the online site.